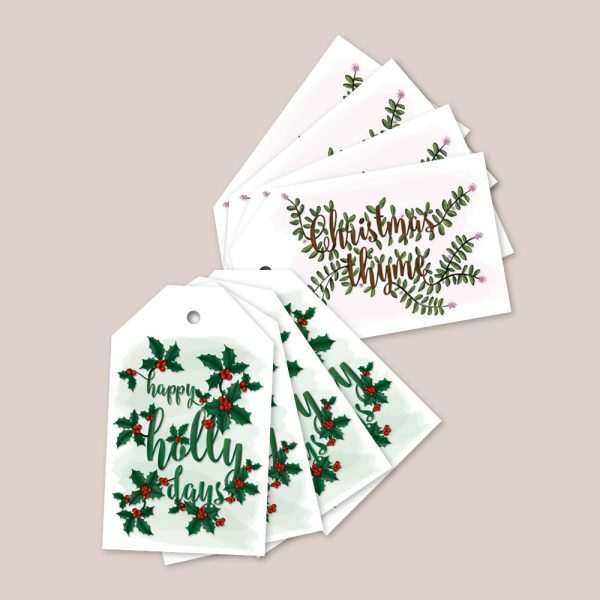 These ‘Happy Holly Days’ and ‘Christmas Thyme’ gift tags are designed to spread the love of homegrown and garden kitsch at Christmas time. Printed on 100% recycled paper and includes a 100% recycled envelope. All packaging is biodegradable. The back of the tag is left blank for your message. This is a wholesale order of 5 packs of 8 tags (4 of each design). RRP is $10.00 per pack. Wholesale price is $5.00 per pack.